The 2nd pick in the 2014 AFL Draft, Christian Petracca, will miss the entire 2015 season after suffering a rupture of the ACL in his left knee on Monday. Demons football manager Josh Mahoney, delivered the news to the clubs website (LINK HERE). Ben Says: Priced at $297,000 in AFL Fantasy and $217,900 in Real DreamTeam, Christian was shaping up as a solid rookie option in the forward line for many a side, particularly in the latter competition. Unfortunately the worst of injuries occurred to this up and coming talent, but hopefully Petracca can overcome then and come back bigger and better than ever. Whilst this will lead to a lot of changes within teams forward structures, players such as Ben Reid, Christian Salem and Jack Martin should offer similar value for a similar price in each of the two competitions. Carlton’s head of football, Andrew McKay, spoke to the waiting media on Tuesday after former #1 draft pick Matthew Kreuzer sustained an injury to the fifth metatarsal in his right foot, with early predictions suggesting a six week lay off (LINK HERE). 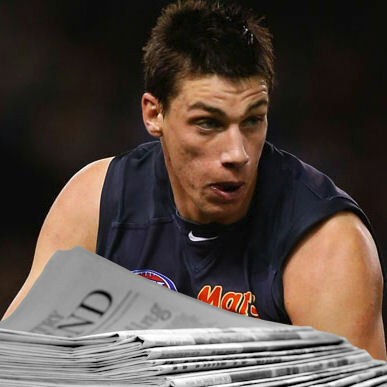 Ben Says: Carlton’s #8, Matthew Kreuzer, was shaping up to be one of the bargain buys in all forms of Fantasy competitions, but again his right foot has gotten the better of him. This is another disastrous injury, really putting grave doubts on whether Matthew will ever be able to realise his full potential. Given the large percentage of ownership numbers, this will again lead to large changes in squads. Clearly Leunberger or the similarly priced Bellchambers are straight forward options, but if you’re already an owner, you may be looking towards the top line ruck options. Regardless, avoid Kreuzer until we see a sustained run of training. 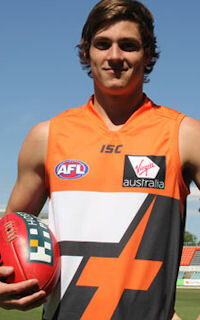 He may still prove to be a worthy early season acquisition, especially in the 44 trade AFL Fantasy competition. Last Monday, Grant Birchall injured the medial ligament of his knee whilst training. Surprisingly Birchall has now suffered two knee injuries in back to back years. Hawks football manager, Chris Fagan, spoke to the media to shed some further light on the incident (LINK HERE). Ben Says: Hawthorn’s triple premiership player, Grant Birchall, was shaping up as the ever reliable fantasy back in 2015, and given the slim pickings of the position, he would’ve been a worthy acquisition for any side. Whilst Fagan does confirm that Grant won’t miss any of the AFL season, the lack of preseason game time coupled with the loss of conditioning which will occur over the next month or so, means selecting Birchall from the start comes with a certain level of risk. There are a number of defenders who should produce at a similar rate, including the likes of Houli, Hurn, Docherty and Duffield. All four of these options should be closely looked at if you don’t want to change your structure too much and avoid the risk now associated with selecting the Hawks #14. Collingwood’s 2011 All-Australian, is on the comeback trail from various injury problems over the last 18 months. After a trip to Germany to seek advice on the injuries, Buckley told the AFL website what the plan for Reid is in 2015 (LINK HERE). Ben Says: Ben Reid is extremely fantasy relevant, heading into the 2015 campaign with price tags of $146,000 and $222,000 in AFL Fantasy and Real DreamTeam respectively. Having previously averaged 71 (in 2013) and 66 (in 2011), Reid should prove to be a solid rookie choice with high job security. A move back to defence is unlikely to see him hit peak fantasy figures, but he’s still capable of producing the odd 100+ game, as shown by his 121 and 108 back in 2011. Buckley also suggests that he’ll be used as an ‘attacking’ defender, and whilst we should take this with a grain of salt, expect to see him utilised in a role which will allow for a number of intercepting marks week on week. Not many cheap options with this upside come with fantastic job security, so fingers crossed his body is good to go for Round 1. In a week full of injuries, Beau Waters was yet another name to add to the list. A knock to his reconstructed shoulder last week has now put his season in doubt. Eagles coach Adam Simpson spoke to the media for the latest update (LINK HERE). Ben Says: This is yet another disappointing story to come out from the weeks events, after Waters again suffered a shoulder injury. Whilst there are strong rumours that this injury casts grave doubts on his future playing career, it’s clear that Waters is still waiting on the final prognosis. Staggeringly, when you consider the injury difficulties, Beau was looking like one of the simpler picks of the fantasy season as he has previously averaged premium type numbers, such as his herculean 91.6 in 2012 from 19 games. Priced at $344,000 in AFL Fantasy and $269,700 in Real DreamTeam, Beau was roughly priced 20-30 points below his expected average. As we await news of the prognosis, it may be time to consider other structures for your sides or making a sideways move to the likes of Ibbotson or Whitecross. Callan Ward spoke to the clubs website today, outlining just how well the Giants 24th pick in the draft, Jack Steele, has been going this preseason (LINK HERE). Ben Says: Jack Steele is certainly one to keep firmly on the radar. Classified as a mid/fwd by Champion Data, Jack comes priced at $227,000 in AFL Fantasy and $117,900 in Real DreamTeam, making him especially worthy of consideration in the latter competition. Whilst he’ll find it tough to break into the Giants side as that high half forward type, Jack has the potential to go huge from the offing. It also wouldn’t surprise to see him wear green, so keep in mind that there’ll be a certain amount of risk picking Jack, but these numbers might help determine exactly why he’s rated so highly. Firstly he played 5 senior grade games in the NEAFL last season, averaging 24 disposals plus a final match which included a season high 39 touches. He managed an average of 94 points per game at the Under 18 Champs last season, which jumps to an average of 130 per 120 minutes. Then in the TAC Cup he went at a seasonal average of 114. This kid can find the footy. If he’s picked early on, he’ll be hard to pass on. Birchall is ever reliable? He’s a curse you tricks you into selection then punishes you with 50s every week you get another injury and can’t scrap him. Bruce it will most likely be Newman elevated I would guess, Lucas a slight chance. Monitor PS, but Newman may be a decent pick come Round 1. Adamson and Brophy both long term project players. Just so you know: Jack Steele played a 207 game in the TAC Cup. 25 kicks, 13 handballs (38 disposals), 15 marks, 9 tackles, 6 frees for, 1 behind and 3 goals. Trust me. Believe the hype. What role is Mclovin likely to take for the seagulls this year? Swingman? For anyone who wants a challenge and is a REAL AFL Fantasy Fanatic, Go up against me and my mates- all been Dreamteaming for at least 4 years each.